For this October’s Jamboree, you don’t need to travel by plane, train or bus to join the fun. All you really need is a ham radio or a connection to the internet. 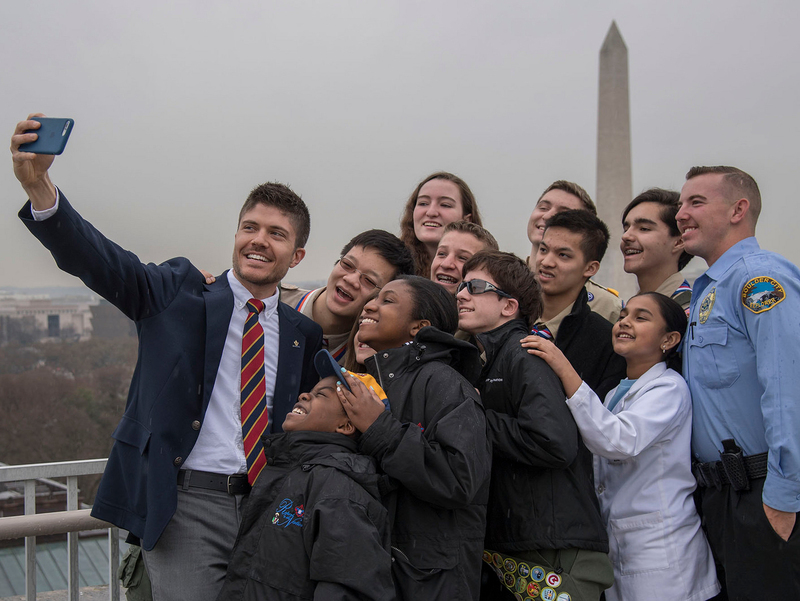 This Oct. 20 to 22, Scouts from down the street, across the country and around the world will gather for the annual Jamboree-on-the-Air and Jamboree-on-the-Internet. The two events, held concurrently the third full weekend of October, use amateur radio and Internet-connected devices to unite Scouts from all over the Earth. And I do mean all over the Earth. The 2016 Jamboree-on-the-Air had nearly 1.3 million Scout participants from more than 30,000 locations and reached 156 different countries. Will your Scouts or Venturers be a part of the fun — and earn the patch to prove it? Here’s what you need to know. When: Third full weekend of October (this year it’s Oct. 20-22, 2017). There are no official hours, so you have the whole weekend to make JOTA contacts. The event officially starts Friday evening during the JOTA Jump Start and runs through Sunday evening. Who: Scouts and Venturers of any age, plus their families. Just for fun: Check out this archive of JOTA patches through the years. What: JOTA’s younger brother, JOTI is an annual Scouting event that uses the Internet and the numerous devices that are used to get online — laptops, iPads and more — to link Scouts from around the world. In 2016, JOTI had more than 47,000 Scouts and leaders registered in the worldwide JOTI database. When: JOTI begins at 00:00 hours local time on Saturday, Oct. 21, 2017, and will end at 24:00 hours local time on Sunday, Oct. 22, 2017. Just for fun: Check out this archive of JOTI patches through the years.